I couldn’t wait so I made it a point to listen to the latest CD from East Side featuring Clint Hoover on the harmonica. This latest effort is called “Astoria” and it’s a very solid Jazz recording with some very choice songs on it. As a matter of fact, it’s really difﬁcult to pick a favorite, they’re all that good. Clint’s playing is just as impressive as ever and I’m jonesing to hear more of his exceptional playing. I highly recommend that you give this album a listen. Clint is deﬁnitely a harmonica player to be reckoned with. This is the Second CD from East Side, a jazz quartet fronted by Reynold Philipsek on guitar and Clint Hoover on Chromatic Harmonica. Like their first CD, simply titled East Side, this one is strongly influenced by those classic Blue Note albums of the late ’50’s and ’60’s, reflected in the cover design as well as the music, along with a strong streak of Nuevo Tango, hence the title’s reference to Astor Piazzolla. All the tunes are original, written by either Philipsek or Hoover, except for a beautiful cover of Softly As In A Morning Sunrise. Clint Hoover’s playing is jazz chromatic at it’s finest and this album is a treat for harmonica enthusiasts and pretty much anyone who likes great music played by great musicians. Drummer Bissonnette and chromatic harmonica player Clint Hoover explain their musical concept as “combining elements of the Blue Note era ‘soul jazz’ and our conception of Nueva Tango.” Joined by Reynold Phillipsek (g) and Matt Senjem (b), they create a delightful sound that seems to accomplish the goal via seven melodic and somewhat exotic sounding play from the quartet. The group is tight and each member blends beautifully into the overall sound. I first remember hearing the name Clint Hoover from the late Chris Michalek. Chris was a big harmonica snob, and a big fan of Clint– and he recommended Hoover as someone who was great on diatonic and chromatic. I’m sure I listened to some of Hoover’s earlier recordings, and may them have around somewhere, but… so much music, so little time. I also haven’t always been a close follower of chromatic – trying to get my head round everything a diatonic can do has filled up a lot of my harmonica listening time. Astoria is a straight jazz record, simply recorded. Guitar, bass, percussion and chromatic harp – that’s it. No gimmicks, a little verb, the audible sound of a pick and fingers on the fretboard – it is a very intimate record. There is one standard ‘Softly, As In A Morning Sunrise’, and 6 originals. All of the originals are well thought out compositions – the songs aren’t breaking any new ground, but they serve to showcase the chops of Clint and the guitarist, Reynold Philipsek. The guitar/bass/percussion is all first rate, but I’ll concentrate on the harmonica. The chromatic here is clean and mostly displays a pretty ‘bright’ sound. Hoover is a very, very good player and his solos are creative and interesting. I very much like his vibrato and he has that jazz chro way of tailing his phrases with a little flattening that is so cool. All the solos are tastefully good, but on a few tunes Hoover steps it up to the kind of ripping wailing that I love, particularly in ‘Silesian Mist’, ‘Softly’ and the middle section of ‘Snake Charmer’. 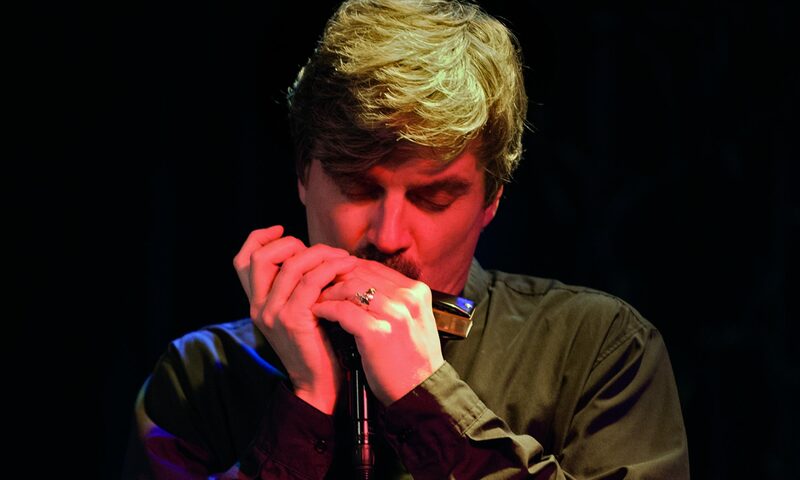 This CD is a treat for chromatic harmonica fans, jazz fans in general, and …well….music fans. Reynold Philipsek (guitar) and Clint Hoover (chromatic harmonica) are separated by nearly 900 hundred miles or more with Clint living in Pittsburgh and Reynold living in Minneapolis but the symbiotic and sympathetic relationship they established over the past few years since their first recording together is enduring. The idea of the East Side quartet was conceived in late 2008 and in early 2009, they recorded the first album. The stylistic basis for the group was combining elements from Blue Note era “soul jazz” and their conception of Nuevo Tango. The group clicked musically and personally and all four members got along from the start. The audience approved as well and it looked like they were all set for a long run. Circumstances however intervened and by 2011 Clint had moved from Minneapolis to Pittsburgh. Still, they were determined to keep East Side going somehow. As things worked out the entire quartet convenes for a handful of shows each year and East Side is here to stay. It took them about three years to complete Astoria (their second album) but they were determined to get it done. The result is this recording which is a great follow up to the first effort and an apt document of the group’s development. It is their goal to continue this musical endeavor for some time to come. The album features four compositions by Reynold, two by Clint and one classic cover.